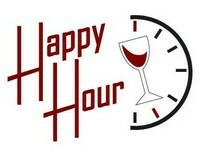 What hour of the day is it...It is Happy Hour!!! Anytime we're open we have wonderful appetizers all at Happy Hour prices. $5 and $6 glasses of wine available ALWAYS!! 4 wine flight (3oz. each) to sample our wonderful wines, just $17. Menu changes WEEKLY as we are a true tasting bar! We also offer "The Happy Hour Platter" (dry salami, artisan cheeses,chocolate, and gourmet crackers) for $8.99(small) or $12.99 (large) is ideal to satisfy any hunger need and fulfill even the most parched palate. Call 775-851-VINO for more information.